Dermatologic surgery is one of the most innovative medical specialties today. ASDS members have pioneered safe, in-office procedures that are saving many lives by diagnosing and treating potentially deadly skin cancers earlier and more effectively. This is one of many significant advancements our members have made for the profession. To support current and future dermatologic surgeons in continuing their innovative work, the ASDS established the Dermasurgery Advancement Fund (DSAF). Identifying opportunities and responding to changing demands while ensuring the future of dermatologic surgery. Supporting research directed toward immediate issues facing clinical practice. Increasing public awareness about the scope of practice of dermatologic surgeons. Educating consumers on patient safety and the importance of choosing qualified physicians. DSAF donors know that increased public awareness of the specialty enhances our reputation, and they understand that patient education drives consumers to seek qualified health providers – members of the ASDS. Every contribution to DSAF is important. AmazonSmile is a simple and automatic way for you to support the Dermasurgery Advancement Fund, every time you shop, at no cost to you. When you shop at smile.amazon.com, you’ll find the exact same prices and selection as Amazon.com with the added bonus that Amazon will donate 0.5 percent of the purchase price to DSAF. Just select “American Society for Dermatologic Surgery” as your charity of choice and help advance the dermatology specialty. 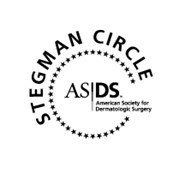 Make an impact on the future of dermatologic surgery by joining the Stegman Circle. Named after legendary dermatologic surgeon Samuel J. Stegman, MD, for his innovative leadership and tireless advocacy for the specialty, members at this prestigious level of giving help fund ASDS goals. Membership in the Stegman Circle requires a giving level of $25,000, providing donors with the ability to contribute $5,000 annually for five years. To set this contribution up please use the Dermasurgery Pledge form. This giving level is for Stegman Circle members who have paid their $25,000 pledge in full and wish to continue donating to the organization in support of its many activities that advance the specialty and support the membership. Annually pledge a minimum of $1,000 to be recognized as a Sustaining Stegman Circle member. For Stegman Circle or Sustaining Stegman Circle members who have paid their $25,000 pledge in full and wish to pledge at the highest level of giving by committing a minimum donation of $50,000 in one lump sum or over five years. Your $25,000 and any other donations to ASDS will be applied toward this amount. Once this level is reached, you will be recognized as a Lifetime Sustaining Stegman Circle member for the duration of your ASDS membership. To set this contribution up please use the Dermasurgery Pledge form. 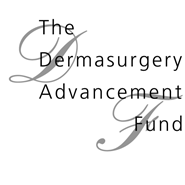 Support the Dermasurgery Advancement Fund today. Every contribution plays an important role in making important advancements for the profession. To recognize individuals at the most prestigious level of giving, the Stegman Circle was established. The Stegman Circle honors the legendary dermatologic surgeon Samuel J. Stegman, MD, for his innovative leadership and unwavering advocacy for the dermatologic surgery and dermatology specialties. Membership in the Stegman Circle requires a giving level of $25,000, providing donors with the ability to contribute $5,000 annually for five years. Every day, ASDS members are expanding the boundaries of what’s possible – through new innovations; safer and more effective procedures; and programs developed to improve patient care. One driving force behind these advances: ASDS members who make more possible today through contributions to the Dermasurgery Advancement Fund (DSAF). Make a difference with the DSAF. Every contribution plays an important role in advancing the profession.